I feel like the topic of babies and sleep is always a bit of a sensitive topic. Almost taboo. But there are always people who want to go there. And generally the people that ask either ask because they truly care and want to offer a hug OR they consider themselves a bit of a baby whisperer and want to offer you all sorts of advice. Luckily for me, the third time around, I have a lot more perspective (more I know the reality of the situation first hand) on babies and sleep. I actually read back on some of my old blog posts when Isla was little. I truly didn't see the light at the end of the tunnel. I was tired. Oh so tired. I remember not even understanding how anyone could make it out of the house before 10am. It seemed completely incomprehensible to me at the time. I have said before that I think the transition to three kids has been so much easier because we have a schedule we have to keep...and by schedule, I mean school. But back to sleep. Callum, though such a smiley little guy and an amazing napper has just been the crappiest of sleepers. Actually, that isn't true. He was an amazing sleeper as a newborn. I thought I lucked out and must have birthed some urban myth of the perfect sleeper. Alas, the 4 month sleep regression came around and things have never been the same since. The thing is, even on the crappiest of nights (which two nights ago consisted of Callum waking EIGHT TIMES), I have perspective. I know there is light at the end of the tunnel. I know that in six months or so, most of this should be behind us. But, I also know with better sleep comes the end of the baby stage. And for that, I am a little bit sad. In the mean time, I will take the long nights...as long as there is a good one thrown in there every couple days...if it means I can hold my little baby for a little bit longer. Oh, and total confession here, my almost 11 month old sleeps in his swing. Yep. Not sure how that happened or what I am going to do about it. I am still trying to figure it out. 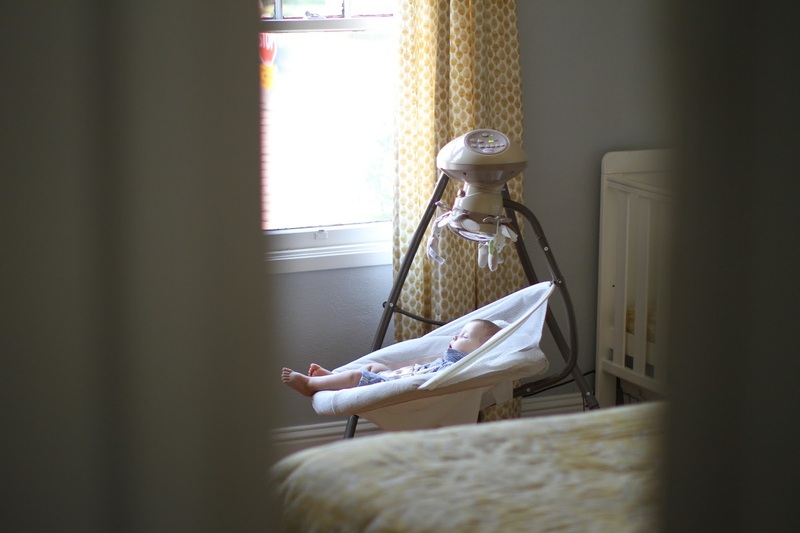 All this to say, if you have a baby who is a crappy sleeper and have tons of advice coming your direction from all sorts of places, know that it will sort itself out and eventually your child will sleep through the night. In the mean time, you are welcome to come over to my place after a crappy night. I can make a big pot of coffee and we can tell each other of our sleepless nights...because nothing makes you feel better like knowing you aren't alone. This post is great. The long nights were definitely SO much easier with Mabel than with Abigail. I really don't think they were any different- but my perspective definitely was. And that changes a lot!